I only watched Pixar’s fabulous movie Inside Out very recently, so imagine my surprise when I saw that I had been tagged in this lovely bookish tag! I loved how clever, unique, and touching the movie was (tears, people, tears) and it reminded me just how confusing emotions can be sometimes. Needless to say, I’m very excited to do this tag! Thanks so much to Beth @ Reading Every Night for tagging me!! 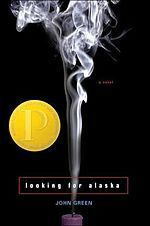 I love Looking for Alaska by John Green, but a wave of sadness washes over me each time I read it. I don’t want to spoil anything, but I’m sure that those of you who have read it know what I’m talking about. The Fault in Our Stars is obviously incredibly sad as well, but this story contains a more subtle sadness, a sadness that fills you with its mystery and senselessness and the simple need to know why. 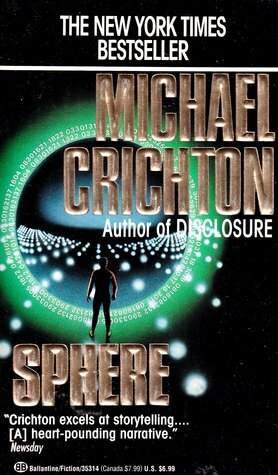 The most recent book to send creepy shivers down my spine was Sphere by Michael Crichton, but really anything by Michael Crichton will do. Be it aliens, dinosaurs, or some other scary creatures, you can rest assured that I’ll be thoroughly frightened after reading any of his novels. I have a bad habit of reading these fast-paced, gripping, suspenseful books right before I go to sleep, which is always a recipe for a strange dream or two. 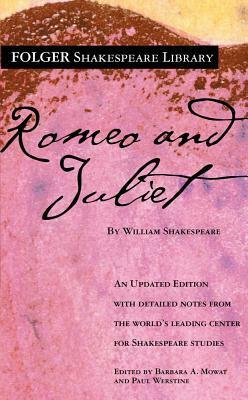 I read William Shakespeare’s Romeo and Juliet as a freshman in high school and it frustrated me to no end. They literally just met and they’re already willing to die for one another if they can’t be together? I just wasn’t buying any of it. I’ll save you the rest of my angry rant, because I’m sure you’ve heard it all before. I feel like this is one of those works that you either really like or really dislike– it certainly had that polarizing effect in my freshman English class! 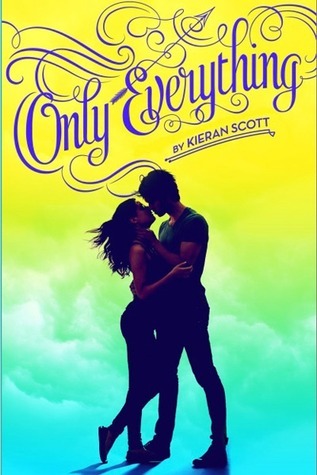 Easy: Only Everything by Kieran Scott. It pains me to loathe a book as much as I dislike this one. Everything about it just left a sour taste in my mouth: the annoying main character and her narrative voice, the cheesy plot line, the insta-love involved, etc. I read about a third of it and then skimmed the rest because I just couldn’t take it anymore. Usually I’m pretty tolerant when it comes to things like this, but Only Everything was too annoying even for me! I’ve lost track of who has done this post and who hasn’t, so I’ve decided to tag anyone who would like to do it! Be sure to leave me a link to your post below if you do decide to join in because I’d love to see which books you pick! What books bring you these emotions? What do you think of the books that I’ve picked? Did you like the movie Inside Out? Let me know in the comments section below! This tag is just so cute and I LOVE your answers! I haven’t heard of The Princess Bride before but now I really have to check it out. Thanks so much! The Princess Bride is such a fun, action-packed, and hilarious read– I highly recommend it! I haven’t watch the movie yet and I haven’t read most of the books on your list but the tag seems awfully fun! Would totally do it sometime soon! Are we secret twins? Romeo and Juliet annoys me SO MUCH – like Romeo can get over his girlfriend and fall in love after like two seconds? Please. Alsooooo, I love The Princess Bride! It’s a movie of my childhood the book is equally is good (very rare). I didn’t know about this tag, but now I do ! Maybe I’ll do it and post it on my blog too ! Nice choice of books by the way, I love Michael Crichton too ! Yay, another Michael Crichton fan! 🙂 Let me know if you end up doing this tag, I’d love to check it out on your blog. I know what you mean about Looking for Alaska – I didn’t cry, but I did feel a lot of pain… And luckily I’ve never had to read Romeo and Juliet, it makes me furious even without reading it!! Reading R&J in class was TERRIBLE. I probably would have been able to tolerate it more if the class discussion part wasn’t so horrendous (thanks to some pretty obnoxious classmates). Sometimes reading on your own is a much better experience! Fun tag! I might have to do it myself. 🙂 I studied R+J with my kids earlier this year, and Pumpkin Pie, age 10, wisely pointed out that “they don’t even KNOW each other!” The study guide we used claimed that Shakespeare intended the play as a cautionary tale against holding grudges. It definitely works better in that context. I am not familiar with most of your choices but I do know the feeling with Romeo and Juliet. There are a lot of frustrating plot points with that work. I much preferred Oedipus and Medea. Oedipus is such a great work! I also really enjoyed Antigone when I read it with my AP English class as a high school senior. It’s nice to know I’m not alone in being frustrated with Romeo and Juliet! It’s not romance! It’s a tragedy! Also my friend didn’t get the whole “bite my thumb” reference and she thought it was innuendo! It’s not…it’s an Italian insult! Exactly!! I wish I hadn’t been forced to read it in my ninth grade English class. Reading it as a junior or senior would have made all the difference! I completely agree about The Princess Bride and Looking for Alaska! I actually didn’t know The Princess Bride was a book until a few years ago, but when I read it, I LOVED it. And my freshman English class was the same way about Romeo and Juliet, except I’m one of the ones who loved it. I absolutely agree that everyone except Benvolio and the prince is being absolutely ridiculous, but I loved the writing so much that I suspended my disbelief a bit for the rest. I feel like I need to reread Romeo and Juliet and give it another chance because the only time I’ve read it was in my freshman English class in high school. I think I might have a different opinion of it if I read it now! I loved reading your answers for this tag and I’m so glad you enjoyed the movie as well. I only watched Inside-Out when I was tagged in this and I thought it was a brilliant film. Great answers! 🙂 I completely agree with you about Looking for Alaska. It’s my favorite book of all times, though it is so sad, and the sadness is so different than the one in TFIOS. It’s just such a huge punch in the chest. I will never get over that book ahah.